Did Mahabharata really happen? Sadhguru’s FINAL word. A Bhakti Yoga practitioner for more than 40 years, Radhanath Swami is one of today’s most beloved and respected spiritual teachers. He is a guide, community builder, activist, and acclaimed author. Rooted in his study of ancient India’s mystic devotional tradition, Radhanath Swami’s message is as profound as it is simple: by cultivating a rich inner life of self-awareness and a genuine practice of service, we can become instruments of compassion and agents of sustainable change in the world. 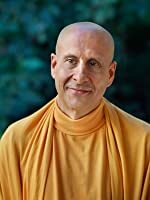 Today, Radhanath Swami is the founder and coordinator of multiple spiritual communities throughout the world, the most prominent of which is the Radha Gopinath Ashram located in Mumbai, India. Under his inspiration and guidance, the project has grown to include missionary hospitals, orphanages, eco-friendly farms, schools, temples, emergency relief programs, and a food distribution program that feeds more than 250,000 indigent children in downtown Mumbai every day. In spite of his many responsibilities, he also travels widely, teaching Eastern philosophy and spiritually throughout Europe, Asia, and America. Providing a complete introduction to the science of Sanatana Dharma, Vanamali reveals how the core concepts of Hinduism, including Brahman, Atman, bhakti, karma, and reincarnation, relate to modern science and how the scientific discoveries of the ancient rishis have been recently rediscovered by the West. She examines the scientific principles within the classic stories and texts of India, including the Vedas, the Bhagavad Gita, the Upanishads, and the Puranas. 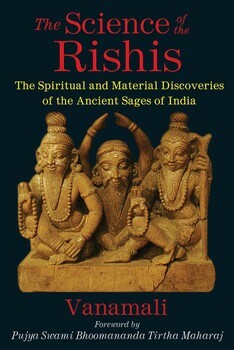 Within the teachings of the ancient Puranic sages and saints such as Valmiki and Vyasa and legendary physicians and mathematician-philosophers such as Aryabhatta and Varahamihir, the author reveals great scientific truths–not those believed by the ancient world, but truths still upheld by modern science, particularly quantum physics. She explores Desha and Kaala (Space and Time), Shankara and his philosophy of Advaita Vedanta, and the Hindu sciences of mathematics, astronomy, and Vedic astrology. Mataji Devi Vanamali has written 8 books on the gods of the Hindu pantheon, including Shakti, Hanuman, Shiva, The Complete Life of Krishna, and The Complete Life of Rama, as well as translating the Bhagavad Gita. She is the founder and president of Vanamali Gita Yoga Ashram Trust, dedicated to sharing the wisdom of Sanatana Dharma and charitable service to children. She lives at the Vanamali ashram in Rishikesh, northern India. Devi Vanamali is a famous Bhakta from Rishikesh, Teacher and Author. Here She speaks openly about Gurus, Disciples and the Spiritual Path. Presence and Reincarnation; A Contradiction in Terms? 1. Now is it the most incredible and momentous event of our lives. 2. Now is the only time and place joy lives. 3. Now is the only time and place we can discover how the mind really works, and thus, get it to work better. Donna Quesada is an instructor of eastern philosophy at Santa Monica College and a dedicated teacher of Kundalini Yoga. Her spiritual name is Dhanpal Kaur. She is the author of Buddha in the Classroom; Zen Wisdom to Inspire Teachers and is a contributor to The Poetry of Yoga. She lives with her family in the heart of cinema land, Culver City, CA, where you’ll likely find her walking her nutty little terrier Marcel. 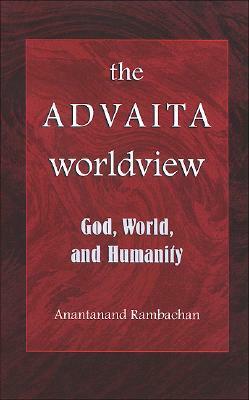 In this book, Anantanand Rambachan offers a fresh and detailed perspective on Advaita Vedanta, Hinduism’s most influential and revered religious tradition. Rambachan, who is both a scholar and an Advaitin, attends closely to the Upanisads and authentic commentaries of Sankara to challenge the tradition and to reconsider central aspects of its current teachings. His reconstruction and reinterpretation of Advaita focuses in particular on the nature of brahman, the status of the world in relation to brahman, and the meaning and relevance of liberation. Rambachan queries contemporary representations of an impersonal brahman and the need for popular, hierarchical distinctions such as those between a higher (para) and lower (apara) brahman. Such distinctions, Rambachan argues, are inconsistent with the non-dual nature of brahman and are unnecessary when brahman’s relationship with the world is correctly understood. Questioning Advaita’s traditional emphasis on renunciation and world-denial, Rambachan expands the understanding of suffering (duhkha) and liberation (moksa) and addresses socioeconomic as well as gender and caste inequalities. Positing that the world is a celebrative expression of God’s fullness, this book advances Advaita as a universal and uninhibited path to a liberated life committed to compassion, equality, and justice. Anantanand Rambachan is Professor of Religion at St. Olaf College and is the author of several books, including The Limits of Scripture: Vivekananda’s Reinterpretation of the Vedas. Rising in Love tells the story of the author’s extraordinary spiritual awakening in America (which included meeting an angel), his discovery of Amma (the living Guru known in the West as the Hugging Saint), and the 27 amazing years he has spent in quest of Enlightenment as Amma’s devotee, most of that time in India. The book is a suspenseful psychological thriller, a page-turner from the outset – yet there so much humor in the narrative that at times it reads like a comedic novel. From another angle, it is a story of profound healing from delusion, drug addiction and despair into a joyous and beautifully fulfilled life, and as such it is a ray of hope for all who suffer from addiction or mental illness. It is also a treasure chest full of gems from Amma’s teachings, and contains 22 photos of Amma. All royalties from the sale of this book will be donated to an orphanage in India. Ram Das Batchelder was born in the USA in 1961, had a spiritual awakening in his early twenties (which included meeting an angel), and has spent most of the last 25 years in India as a devotee of Amma, the “hugging Saint.” He has written four children’s books for Amma’s ashram, each of which have been translated into four European languages. He also wrote a novel in rhyming verse (“Sathyaram Discovers the Mother of All”), three full-length plays, and 40 original songs. In 2012, he and his wife, Tarini Ma, wrote and co-taught a university course on Hinduism in Venezuela. His highly acclaimed autobgiography, “Rising in Love: My Wild and Crazy Ride to Here and Now, with Amma, the Hugging Saint” was published in 2014 by O Books, an imprint of John Hunt Publishing. He has given numerous talks and workshops about various aspects of spirituality in many locations around the world. He and his wife are currently offering luxury tours of the sacred cities of India, to both Spanish and English-speaking groups. “Rising in Love: My Wild and Crazy Ride to Here and Now, with Amma, the Hugging Saint” tells the story of Ram Das Batchelder’s powerful marijuana-fuelled spiritual awakening in America (which included meeting an angel), his two-year struggle with delusion and addiction, his subsequent renunciation of drugs, and his eventual discovery of Amma (the living Guru known in the West as “the Hugging Saint”). The narrative then covers the 27 amazing years he has spent in quest of Enlightenment as Amma’s devotee, most of that time in India. It is a story of profound healing from drug addiction and despair into a joyfully fulfilled life, and is therefore a ray of hope for all who suffer from addiction or mental illness of one kind or another. The book is a suspenseful psychological thriller, “a real page-turner” (as more than one reviewer has said), yet there is so much humor in the narrative that it reads like a comedic novel. It describes his struggles with dysentery and sexual desire during his first several years at Amma’s ashram, and also includes descriptions of numerous miracles he has witnessed, a vision of Krishna, and the steady progression of his meditation, which has culminated recently in states of samadhi. 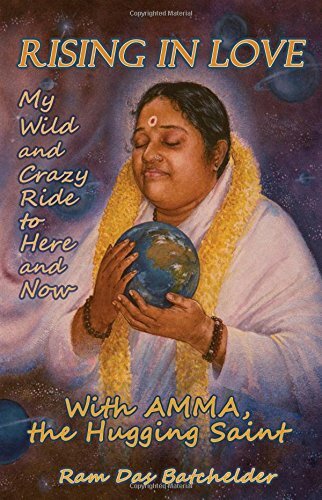 It also discusses how the author left Amma’s ashram for a six year period, visited numerous other Gurus, and then returned, with a fiancée, and was married by Amma in 2001. One chapter is dedicated to the difficulties he and his wife have faced in their marriage, and the beautiful healing Amma has given them as a couple. There is also a section about the Asian Tsunami, which occurred when they were in Amma’s ashram; hundreds were killed in the surrounding area. “Rising in Love” will appeal to anyone interested in spirituality, Enlightenment, Hinduism, Saints or Gurus, as well as psychology, psychotherapy, angels or Jesus. Jason Gregory is a spiritual philosopher and practitioner of internal arts and esoteric health. He is an internationally renowned author, writer, filmmaker, teacher and worldwide speaker specializing in the fields of eastern and western philosophy, comparative religion, spiritual traditions, metaphysics and ancient cultures. For several years Jason has lived and studied in Asia with the students and masters of the varying sects of Buddhism, Gnosticism, Hermetic Philosophy, Hinduism and Taoism. In these years Jason has searched ashrams, monasteries and temples in some of the most remote places in the world exploring perennial wisdom. He is the author of the highly acclaimed The Science and Practice of Humility and the cult classic Way of the Weirdo. Jason wrote and directed the online documentary presentation The Sacred Sound of Creation. He has written many articles for high profile magazines and websites around the world. Jason’s work has been featured on many radio shows with his numerous guest appearances. Jason Gregory spends most of his time writing, traveling and teaching worldwide in his workshops on perennial philosophy, spiritual traditions east and west, esoteric health, psychology and consciousness. 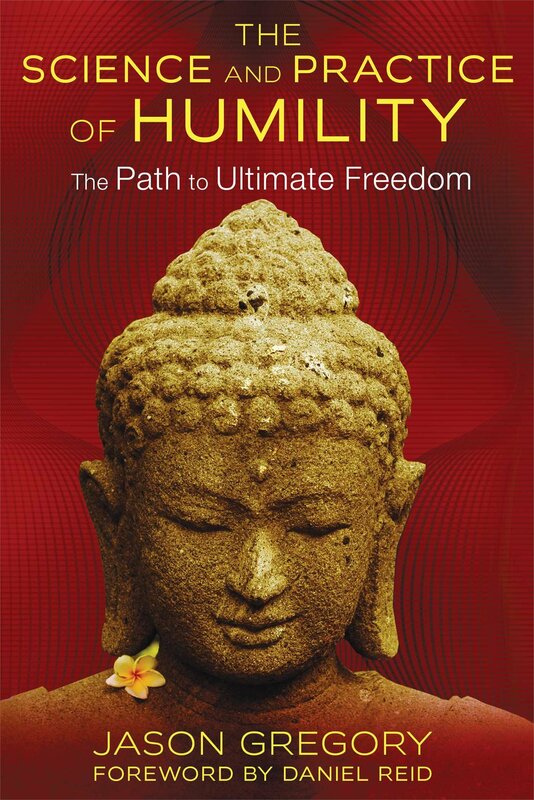 His workshops are said to be the most insightful and inspirational events one can attend, as Jason continues to expose that humility is a science that one can apply to their life which unlocks the deeper essence of all wisdom traditions. The art which the ancient masters of our past lived by and expressed is a transparent state of consciousness that is a riddle dwelling deep inside the mind of humanity. From the life of Krishna to Lao Tzu, and from Gautama the Buddha to Jesus of Nazareth onto Ramana Maharshi of the modern era, all possessed a universal axiom that secretly transforms the individual and humanity. Enlightenment is the common motif associated with such masters either literally or in parable, yet nevertheless, what was the discovery they acquired to facilitate this illumination? Hidden deep within the annals of time is a science that the enlightened masters revealed within themselves that brings their life into accord with the laws, patterns and principles of the universe. The Science and Practice of Humility outlines the knowledge of how humility itself is a direct science that an individual can live by, which aligns one with the natural function of the universe. The natural principles and patterns of the universe are not temporary phenomena that exist isolated outside of the human-being, as most institutions erroneously believe. But instead the universal principles and patterns are found within the consciousness of the individual, whether that be physical, mental or spiritual, the principles and patterns are there for all to see in The Science and Practice of Humility. The modern idea that we need to force ourselves upon life to be successful is actually against the flow and function of how the universe expresses itself. The Science and Practice of Humility demonstrates how the spontaneous nature of the universe corresponds to us being receptive to all experience, and in this core teaching it illustrates to the individual that humility is the human expression of this receptivity which leads to the authentic comprehension of how evolution and enlightenment are intimately related. A great meditation track for us to pray on to our Beloved Lord Ganesha. May He shower us with His blessings, Ganapati Bappa Morya! David Frawley (Pandit Vamadeva Shastri) interviewed by India’s National Channel Doordarshan. In this candid interview he speaks intensely about his understanding of vedas, shastras and upanishads, he even explains his love for India and it’s enviable culture and history. a MUST WATCH. Posted with expressed permission from DOORDARSHAN and American Institute of Vedic Studies (www.vedanet.com). Related with simplicity and sincerity, the anecdotes in this firsthand account detail author Renata Caddy’s experiences with Babaji, an eternal being and figure in Indian spirituality. Through personal stories and photographs, Caddy describes her first meeting with Babaji during a stay in India in 1978 as well as the 72 encounters that followed in the next six years, until Babaji gave up his human form in 1984. She then relates the events that occurred during her several pilgrimages to Mount Kailash in Tibet, where she felt Babaji’s presence strongly and was even more compelled to follow his teachings of truth, simplicity, love, and service to humanity. Full of wisdom, this illuminating book contains a message of spiritual development that will resonate with anyone of an open heart and mind, regardless of religion. Renata Caddy is a writer and painter who teaches courses and directs workshops on the topics of self-discovery, self-realization, and happiness. Diwali, the festival of lights, celebrates the victory of good over evil, light over darkness, and knowledge over ignorance. Lamps are lit on this day not just to decorate homes, but also to communicate a profound truth about life — when the darkness within is dispelled through the light of wisdom; the good in us wins over the evil. Diwali, in essence, is celebrated to kindle the light of wisdom in every heart, the light of life in every home, and bring a smile on every face. Diwali is the shortened form of Deepavali, which literally means rows of lamps. Life has many facets and stages to it. It is important that we throw light on all of them, for if one aspect of our life is in darkness, we cannot express life in its totality. The rows of lamps lit on Diwali remind us that every aspect of life needs our attention. Every lamp that we light is symbolic of a good quality. There are good qualities in every human being. Some have forbearance, some have love, strength, generosity; others have the ability to unite people. When all these qualities are lit, awakened, that is Diwali. Don’t be satisfied with lighting one lamp; light a thousand! If you have the value of service in you, don’t be satisfied only with that. Light the lamp of wisdom in yourself and acquire knowledge. Awaken all the facets of your being. Another profound symbolism of Diwali is in lighting firecrackers. In life, you often become like a firecracker, waiting to explode with your pent-up emotions, frustration and anger. When you keep suppressing your emotions, cravings and aversions are bound to reach a point where they explode. Bursting crackers is a psychological exercise from ancient times to release bottled-up emotions. When you see an explosion outside, you feel similar sensations within as well. Along with the explosion, there is a lot of light as well. When you let go of these suppressed emotions, the light of knowledge dawns. Diwali means to be in the present — dropping the regrets of the past, the worries of the future, and living in the moment. The sweets and exchange of gifts symbolize forgetting the bickering and negativities of the past, and renewal of friendship for the times to come. A true celebration means dissolving all differences. Happiness and wisdom have to spread in society, and that can happen when all come together and celebrate. Even if one member of the family is shrouded in darkness, you cannot be happy. You need to kindle wisdom in every member of your family. Extend it to every member of society, every person on the planet. Any celebration is incomplete without the spirit of service. Whatever we have received from the Divine we should share it with others, for it is in giving that we receive. That is true celebration. Diwali is a time when you throw light on the wisdom you have gained and welcome a new beginning. When true wisdom dawns, it gives rise to celebration. Celebration is the nature of the spirit and every excuse to celebrate is good. For the one who is not in knowledge, Diwali comes only once a year, but for the wise, Diwali is every moment and every day. For the one who is not in knowledge, Diwali comes only once a year, but for the wise, Diwali is every moment and every day. This Diwali, celebrate with knowledge and take a sankalpa (vow) to serve humanity. Light the lamp of love in your heart; the lamp of abundance in your home; the lamp of compassion to serve others; the lamp of Knowledge to dispel the darkness of ignorance and the lamp of gratitude for the abundance that the Divine has bestowed on us. The Navratri celebration is symbolic of how life evolves and how we must overcome darkness in order to embrace the light. First we must destroy fear, anger and darkness (Tamasic). Then once darkness is destroyed peace and love settle into our heart. Finally, only after peace and love settles into our can we actually receive a good teaching. Before we are purified by this process, all of our enjoyments and teachings will be mixed with pain, attachment (Tamas) and selfishness (Rajasic). The first of the three nights – mantras to Durga. The second of the three nights – mantra to Lakshmi. The third of the three nights – mantra to Sarasawati. Are you enlightened? Are any of the thousands of supposed “gurus” we watch on YouTube today actually enlightened? One of the most important questions that can be asked on the spiritual path is: How do we know with certainty if someone actually is an enlightened being? 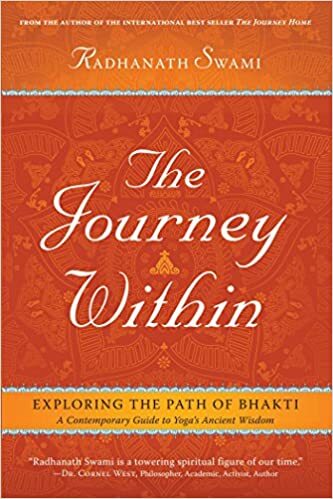 In his now familiar and widely acclaimed style of sharp honesty and impassioned eloquence, Sri Dharma Pravartaka Acharya tackles this question head-on with deep philosophical clarity and inspirational force like no one else before him ever has. Our most intensely fascinating video produced so far beckons you to face the straightforward answer to the crucial question: Are You Enlightened? Recognize who you truly are! Be present! Be joyful! Be free!